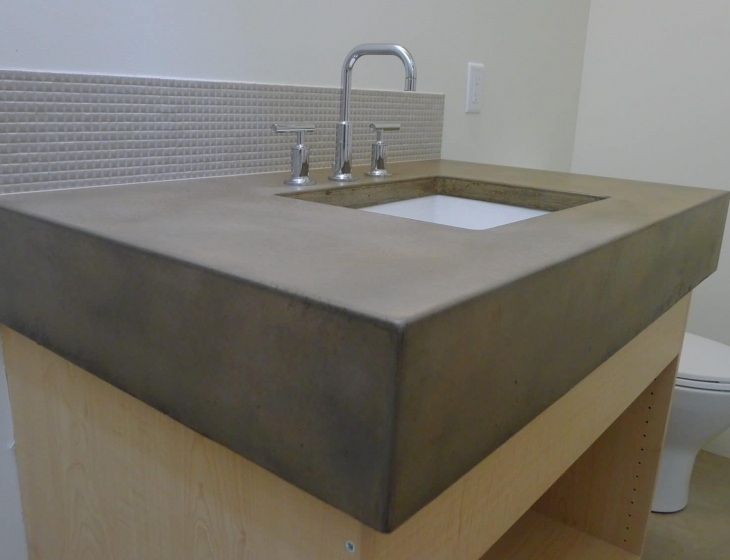 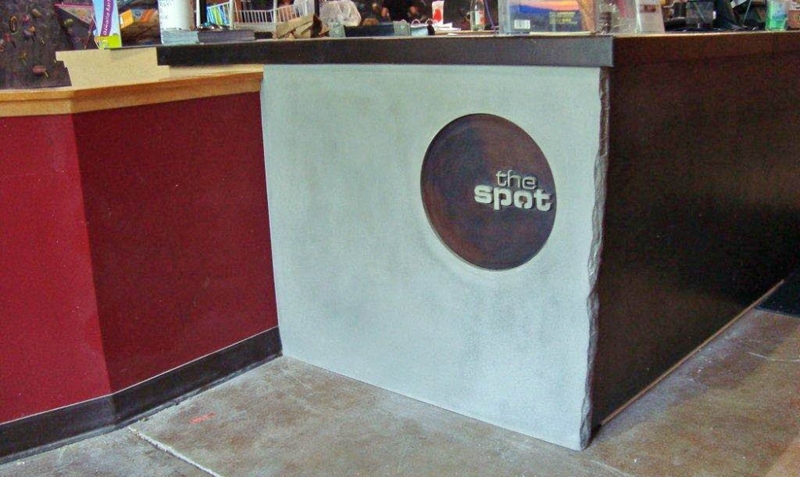 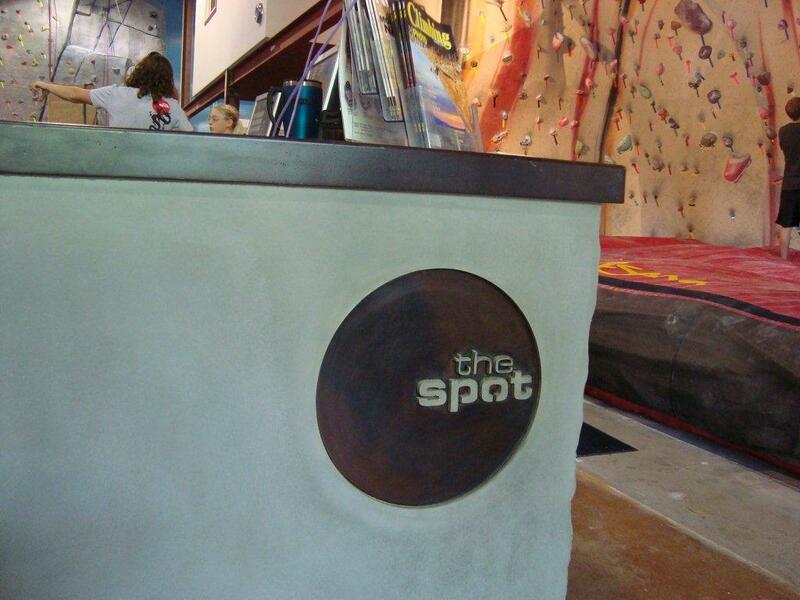 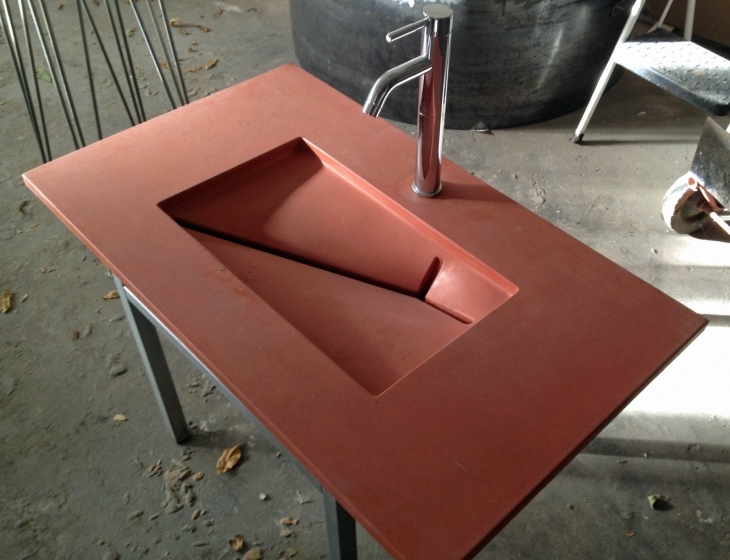 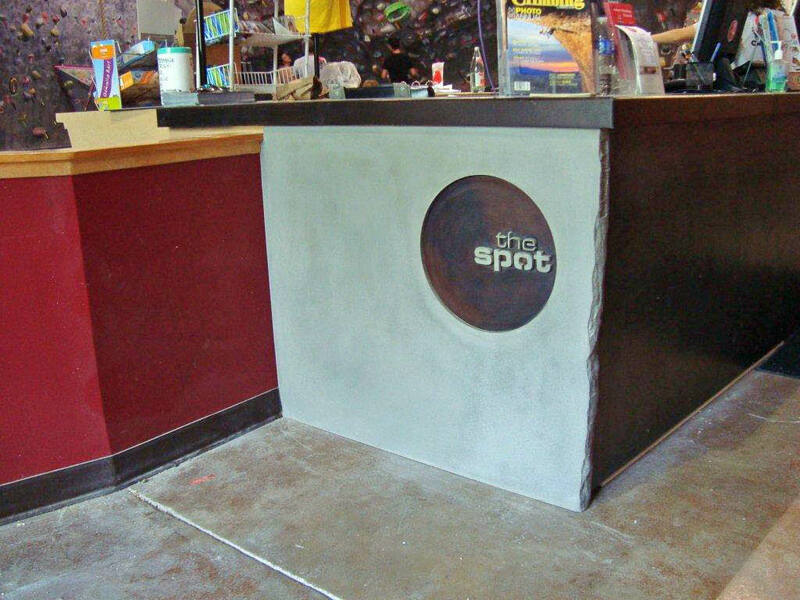 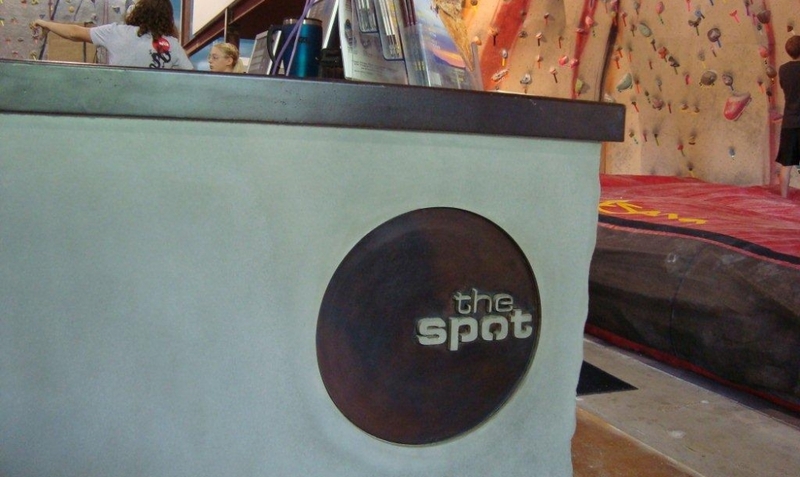 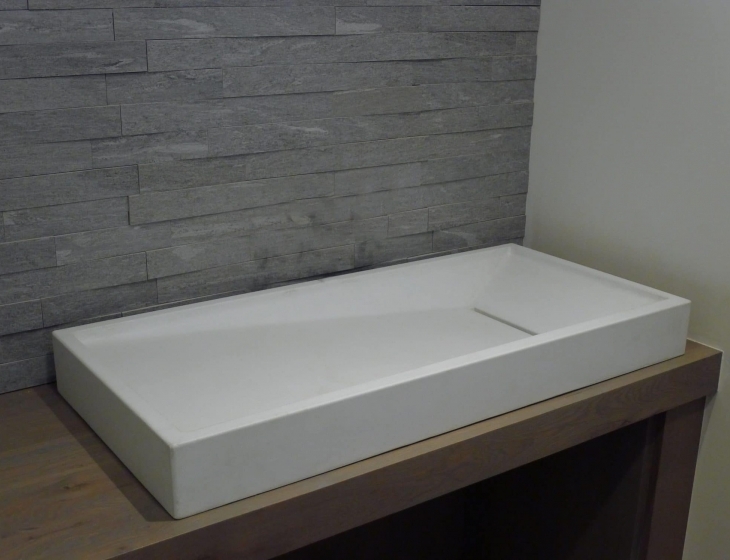 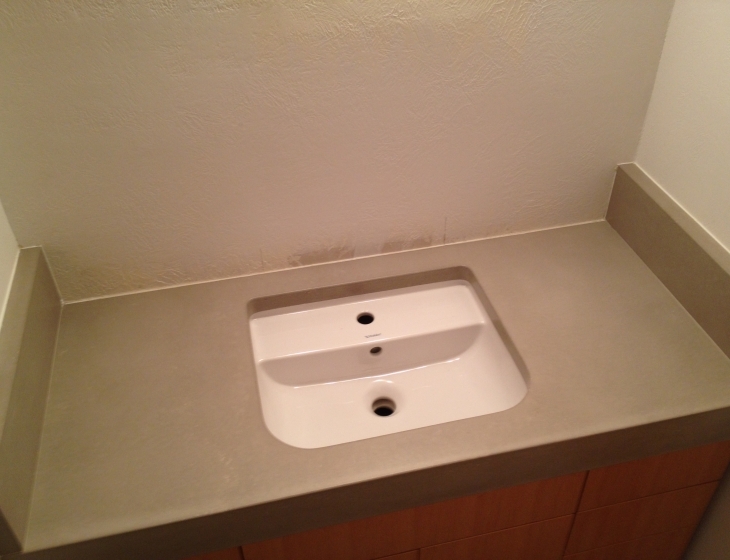 Concrete countertops for the reception desk at the Spot bouldering gym in Boulder, Colorado. 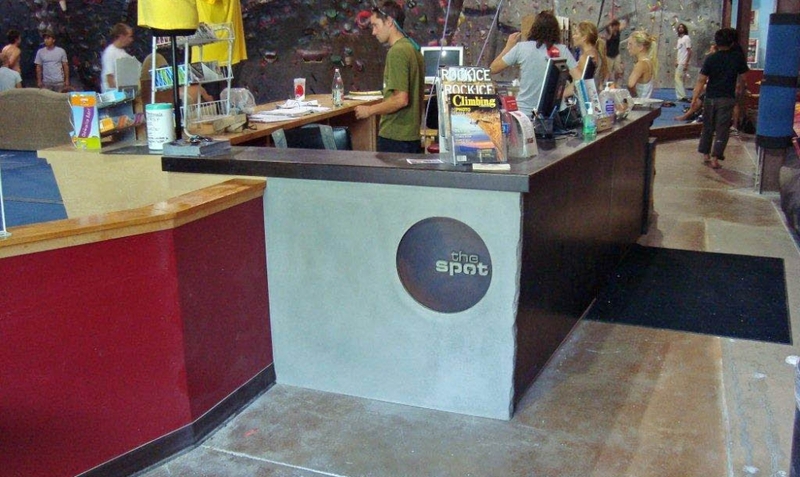 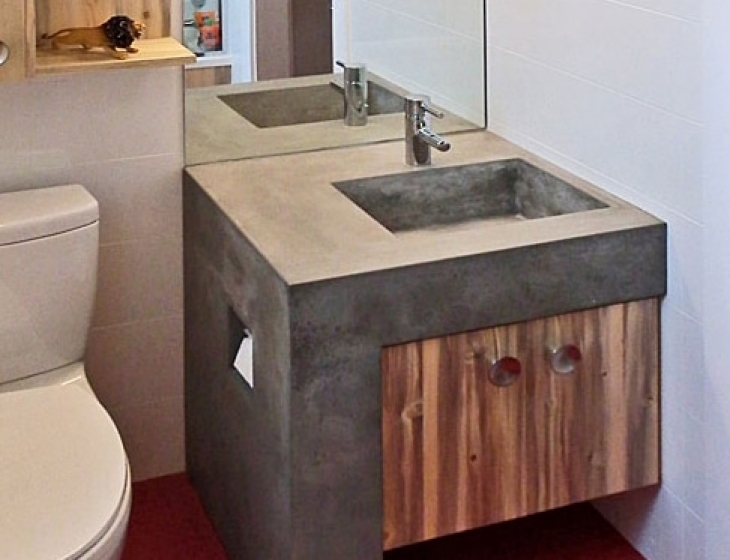 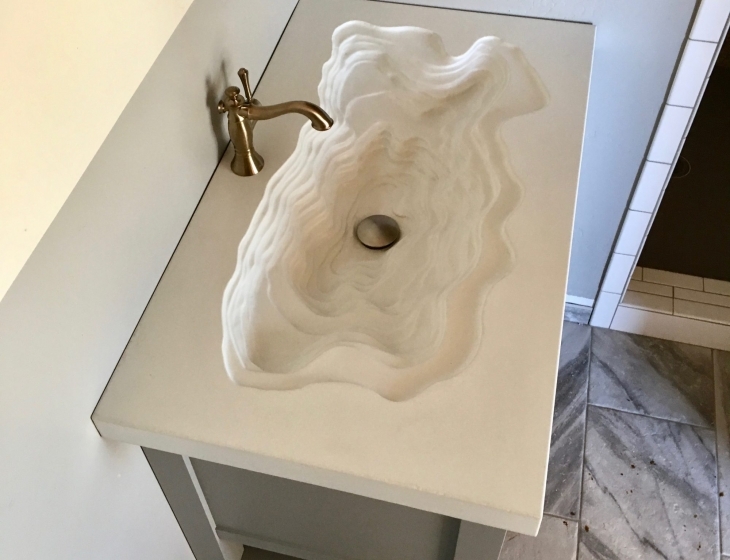 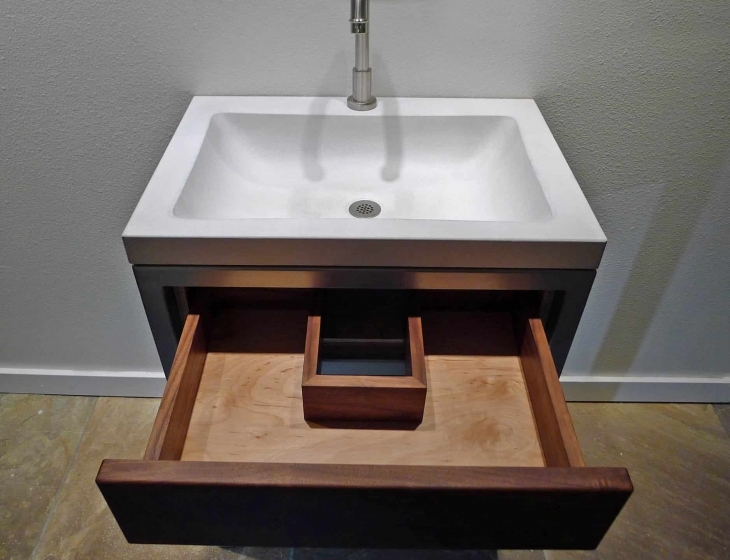 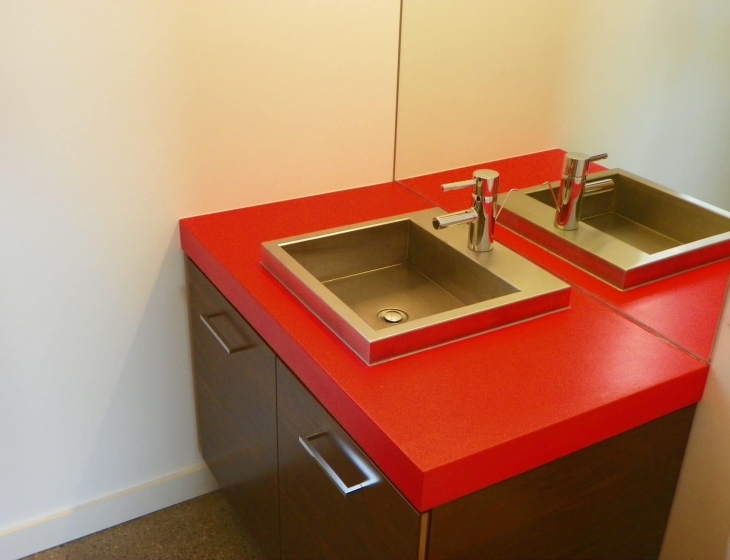 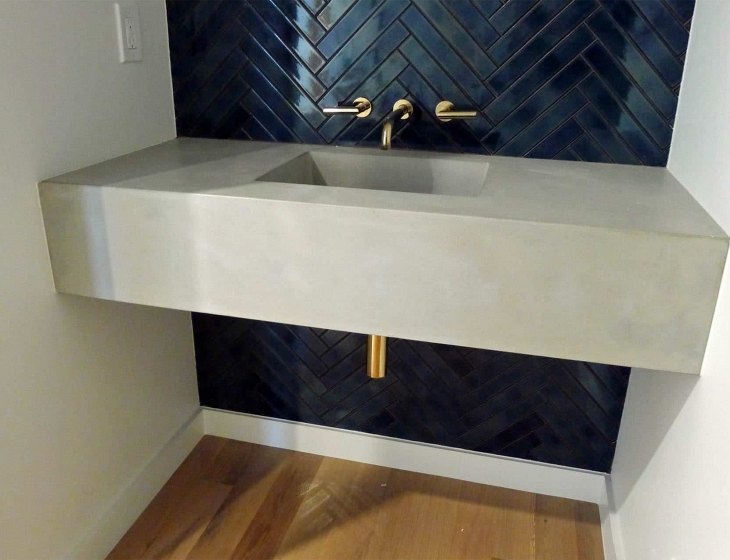 This project was the recipient of Concrete Decor’s 2010 ‘Commercial Project of the Year’ award. 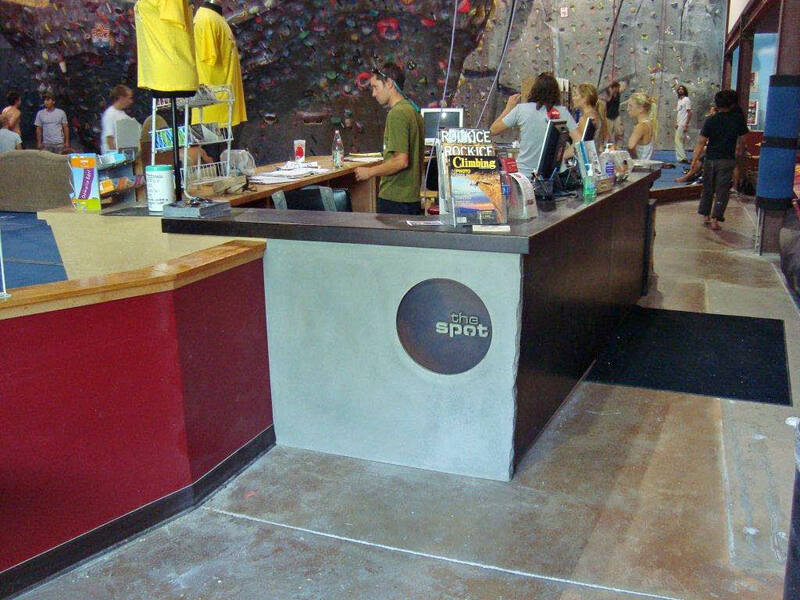 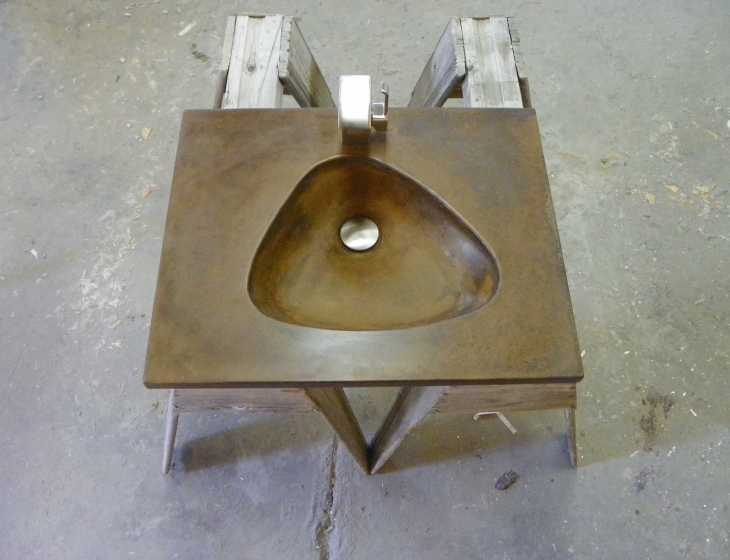 Tops and logo background are colored with a reddish brown acid stain while the vertical element is natural grey cement.